While there are a host of 2015 Cadillac XTS updates to peruse, the most exciting is hands down the rear seat armrest. (Who would have ever thought we would be getting giddy over armrests?) Reportedly, the rear seat armrest will include redundant radio and rear sunshade controls on the Platinum and Vsport Platinum trim levels for the 2015 XTS. The new outside body-color mirrors are everything a mirror should be: a reflective piece of glass that does everything you ever ask of it. These mirrors are power-adjustable, power-folding, auto-dimming, and heated. Not to mention, they can be operated with a remote control and have turn signal indicators. Fancy schmancy, eh? 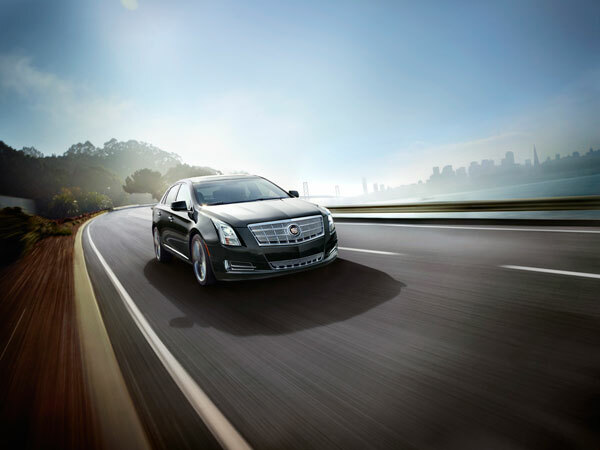 Those aren’t the only big 2015 Cadillac XTS updates you can expect. Also look out for two new exterior colors: Cocoa Bronze Metallic and Dark Adriatic Blue Metallic. Sapphire Blue Metallic will be discontinued, however. The single disc CD player also gets the boot, and Kona Brown with Jet Black accents and Open Pore Sapele wood trim will replace the Caramel with Jet Black accents interior trim combination. Front-wheel-drive models will get Lane Keep Assist. And, of course, the 2015 XTS gets that OnStar 4G LTE that GM won’t stop talking about.